Mold growth is a common problem for homeowners. While mold spores travel through the air every day, high concentrations can trigger health problems in those exposed to them. Allergy like symptoms of itchy, watery eyes, frequent sneezing, and more serious trouble breathing are common signs that there’s a mold infestation in your house. If you haven’t had a big, obvious leak that would lead to water damage and mold growth, look in these spots around your home. Mold loves to hide. The bathroom commonly grows mold because of all the water sources in the room. If your bathroom isn’t well ventilated, consider opening a window and investing in a fan even if you don’t think there’s any mold growing there. Steamy showers build up plenty of condensation along the upper walls and the ceiling of the bathroom. Warm moisture makes for the perfect environment for mold to flourish. Check not only the ceiling, but the seams where the walls and ceiling meet. What looks like a layer of dust could be some fuzzy mold. A quick swipe with a cloth and anti-fungal disinfectant should be enough for basic mold growth. If you suspect the mold growth may go deeper, however, consult a professional. Steam from a shower makes the bathroom a popular mold spot, but the kitchen is also a great place for it to grow. Boiling soups and making tea often releases steam as well. If your kitchen doesn’t have a fan above the stove the likelihood of mold growth increases. Wipe down the area above the stove after every meal is prepared, and keep windows open if the weather permits. Also check your kitchen’s floors and inside cabinets. Fruits, breads, and other food products can give molds a jumpstart. 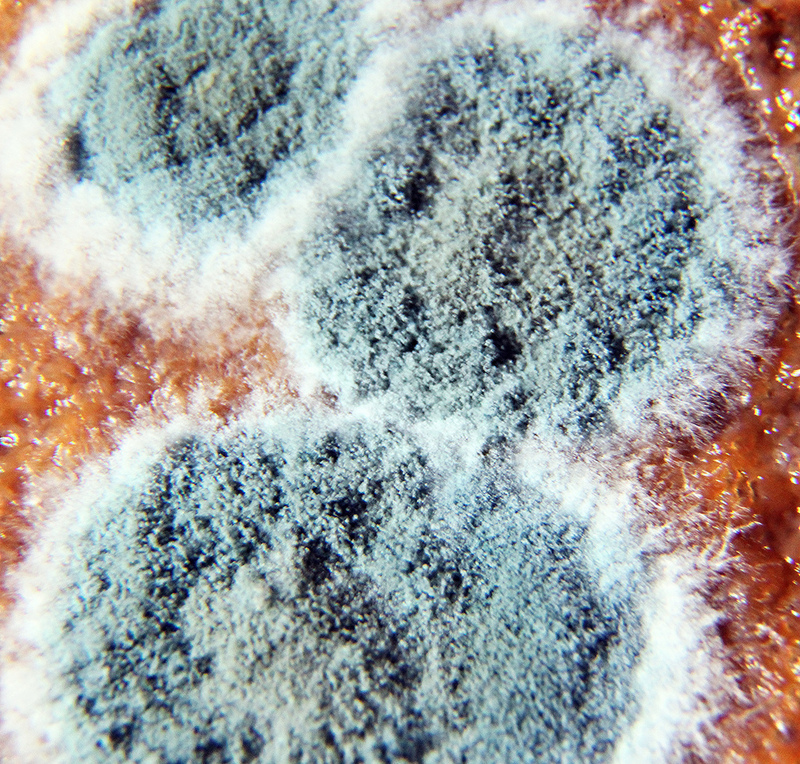 Mold that starts out feasting on a forgotten apple or banana could easily jump to the walls of your cupboard. Shine a light periodically into even your hardest to reach cabinet to be sure nothing is growing there. Dishwashers, laundry washers and dryers, and refrigerators all deal with water. Moisture is key to mold growth, so make sure you periodically look under and inside of your appliances. A loose fitting may result in a slow water leak that isn’t large enough for you to notice, but is large enough to sustain mold growth. Mold that grows inside of appliances can pose additional health risks if it’s carried on the clothes you wear or on the dishes you eat from. This is the most hidden of all the hidden mold growth opportunities in your home. If you have water damage, you need to check inside your walls and floors for mold growth. Damp insulation is the perfect breeding ground for mold. You won’t be able to see it, but the scent and the health effects can be extremely noticeable. Contact a professional for an inspection even if you think you fixed a leak before any damage occurred. Mold growth can be difficult to discover even when feeling its effects. These areas of your home are more likely to harbor mold. While some are easily cared for, you still need a professional opinion in others. Remain vigilant in these areas and you’ll reduce the risk of unchecked mold growth in your home.